Adrian C. Ford writes that the Coca Cola International Stock has been returned in the mail as requested. There are also instructions about purchasing more stock and making payments. 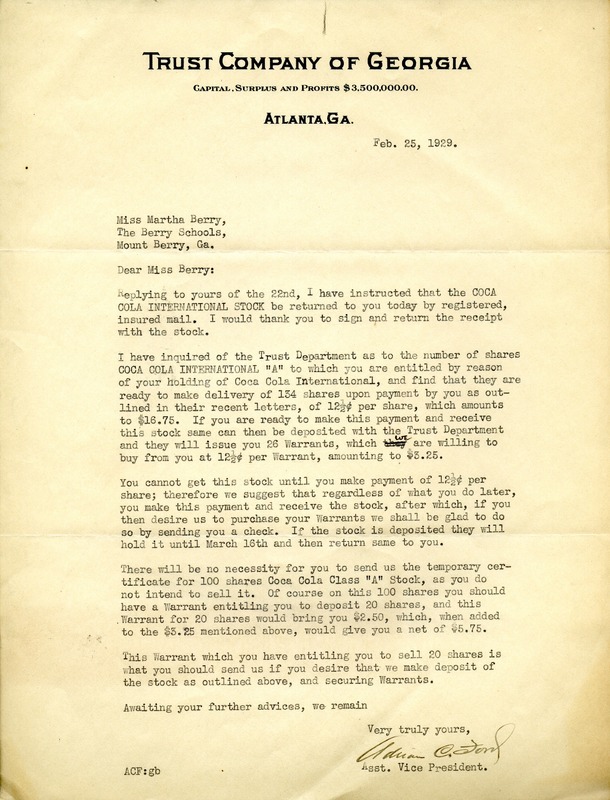 Adrian C. Ford, “Letter to Martha Berry from Adrian C. Ford.” Martha Berry Digital Archive. Eds. Schlitz, Stephanie A., Chelsea Risley, et al. Mount Berry: Berry College, 2013. accessed April 19, 2019, https://mbda.berry.edu/items/show/11182.